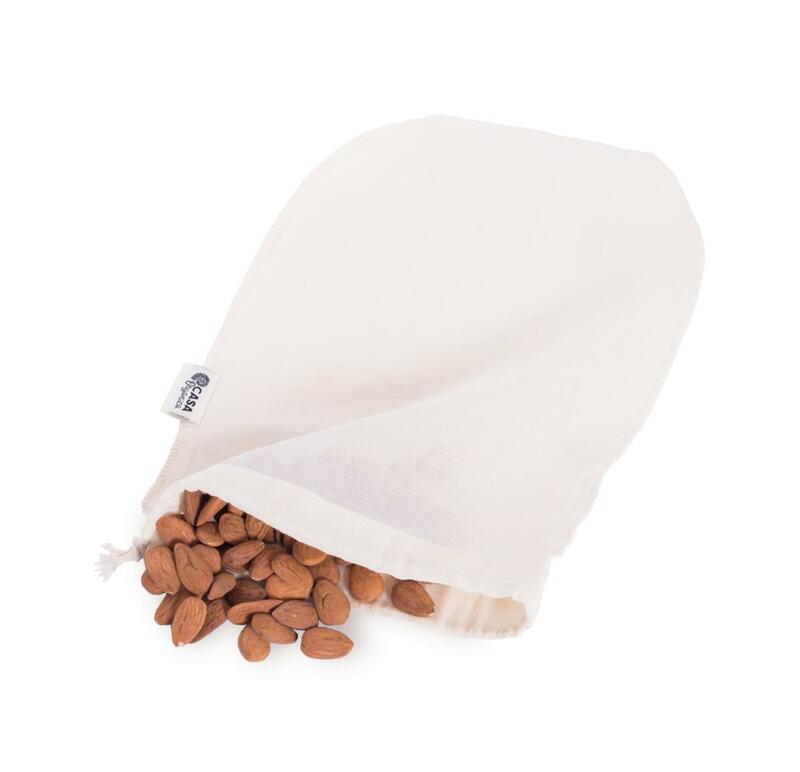 Fine cotton cloth bag for the DIY production of "milk" from nuts, seeds or cereals, for the production of cheese or vegetable juices. Round corners allow easy removal of solid residues and cleaning. Bio cotton is approved for contact with food. Dimensions: length 30 cm, width at the widest point 22 cm, at the lowest point 12 cm. Subject * Product inquiry Bag for making plant-based milk RMA Misc.